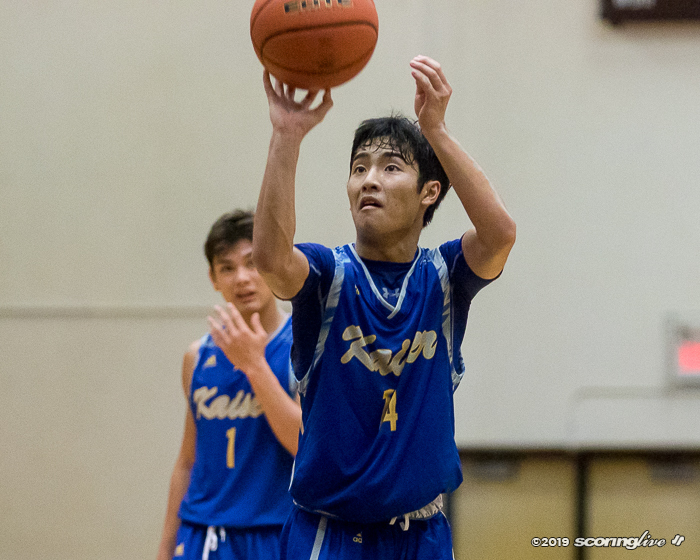 Kenji Toyama picked the right night to shine. 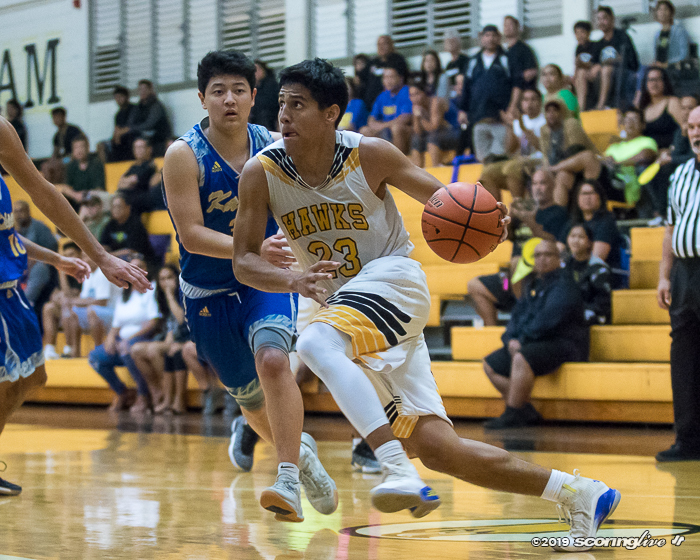 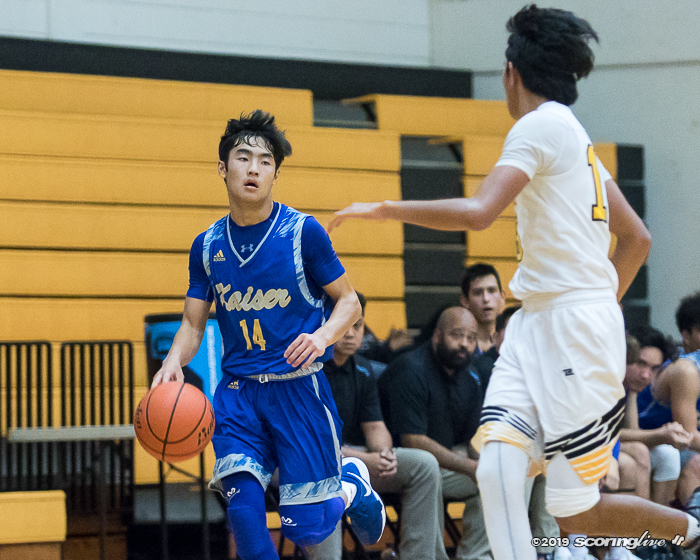 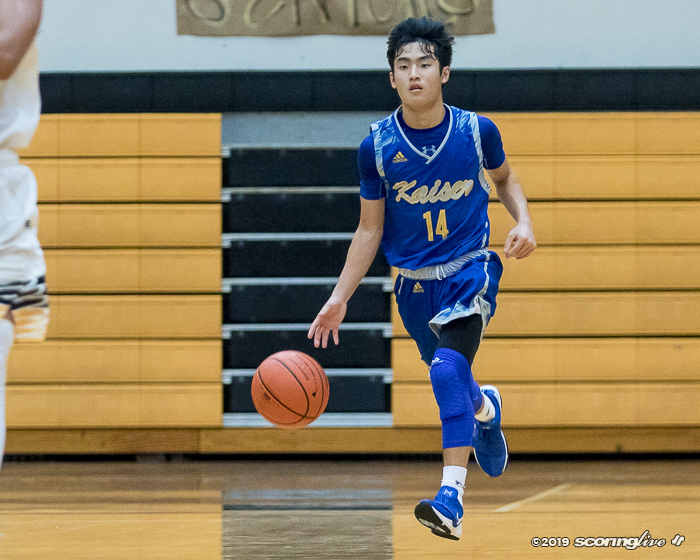 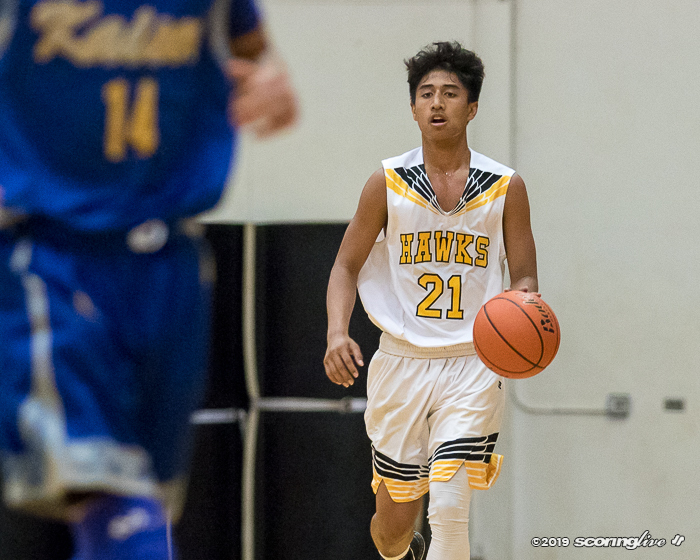 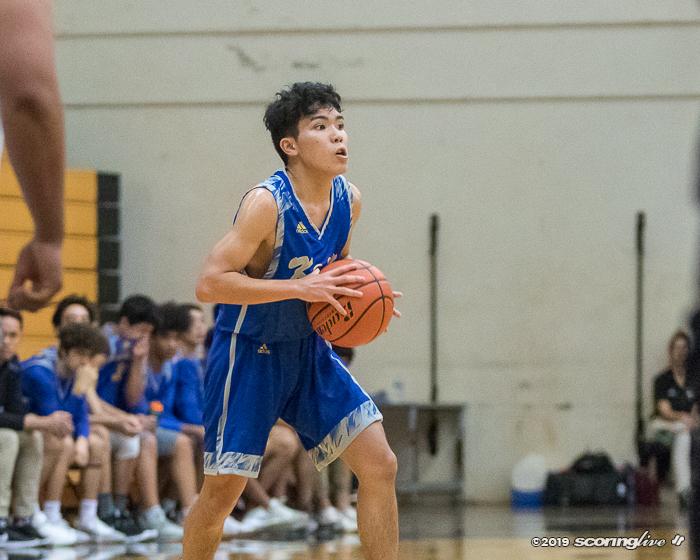 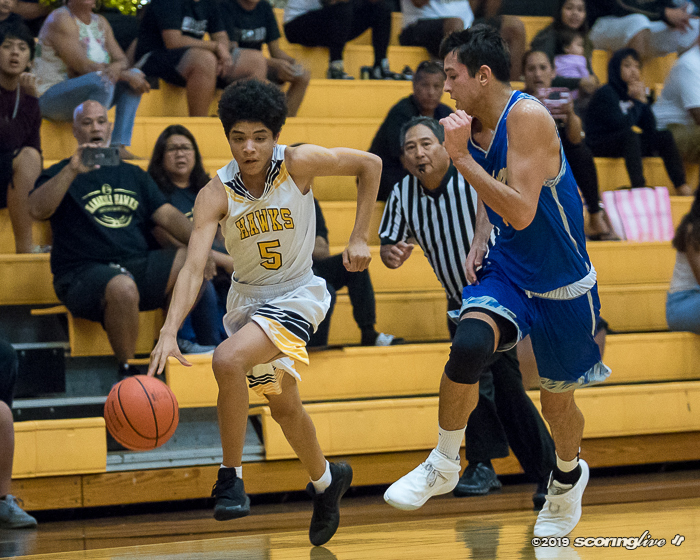 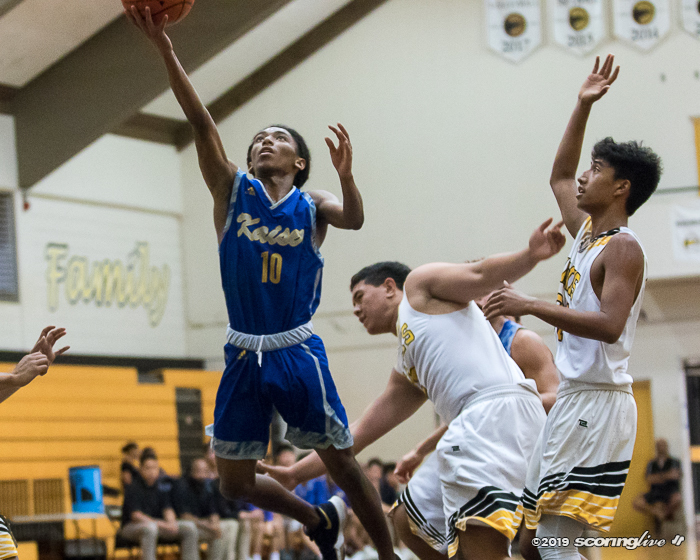 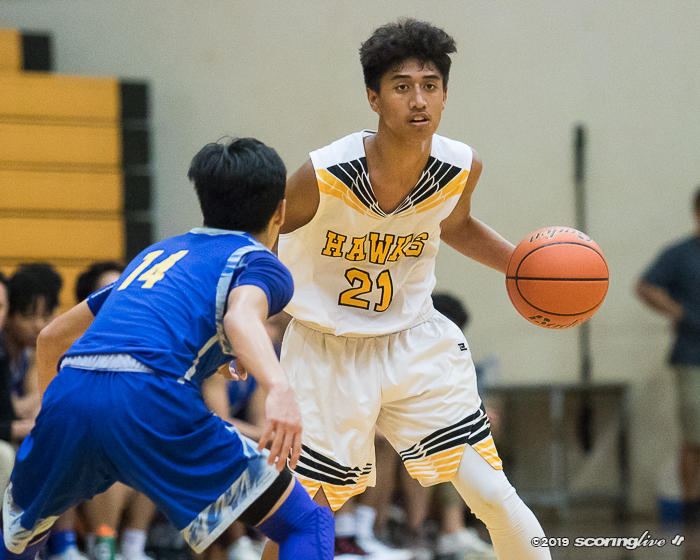 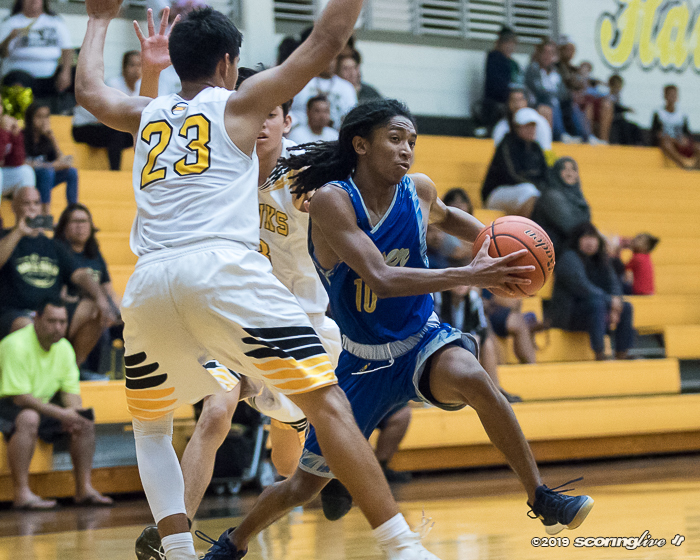 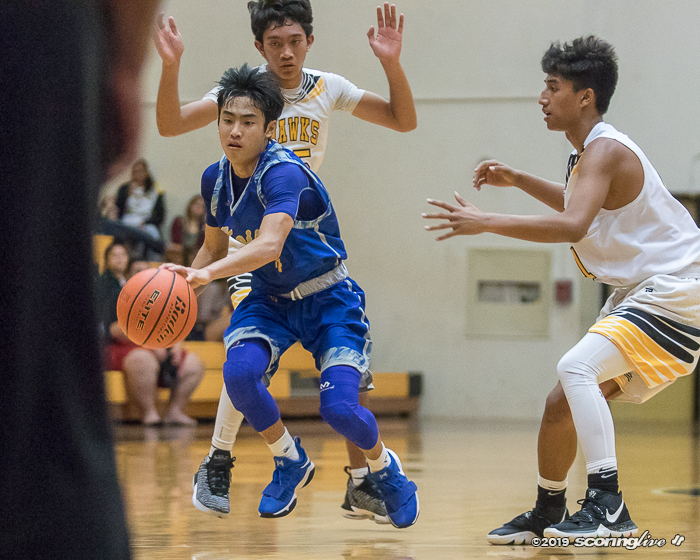 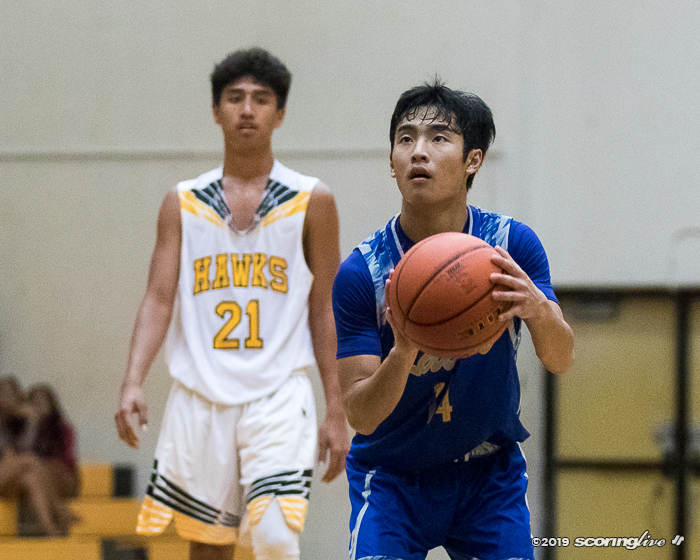 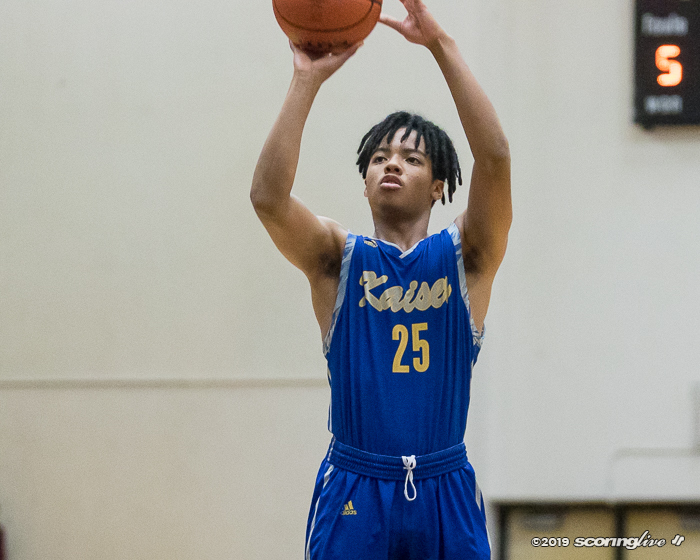 The Kaiser sophomore guard scored 24 of his career-high 31 points in the second half to help the Cougars rally past host Nanakuli, 55-44, at Hugh Taufaasau Court Wednesday night in the semifinals of the OIA Division II playoffs. 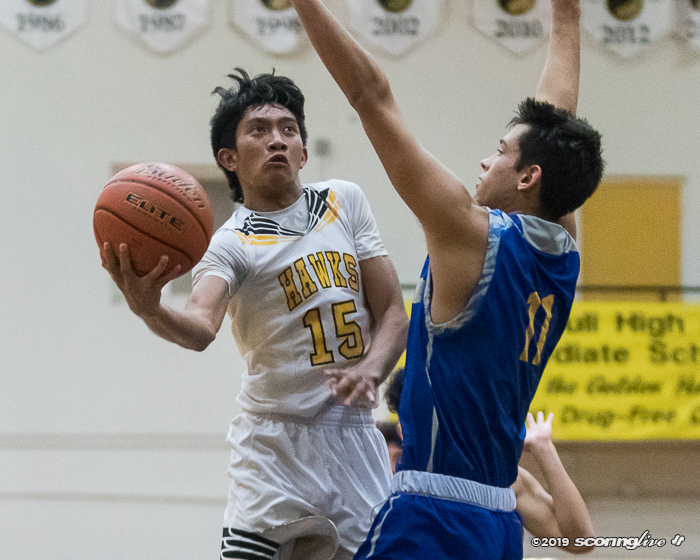 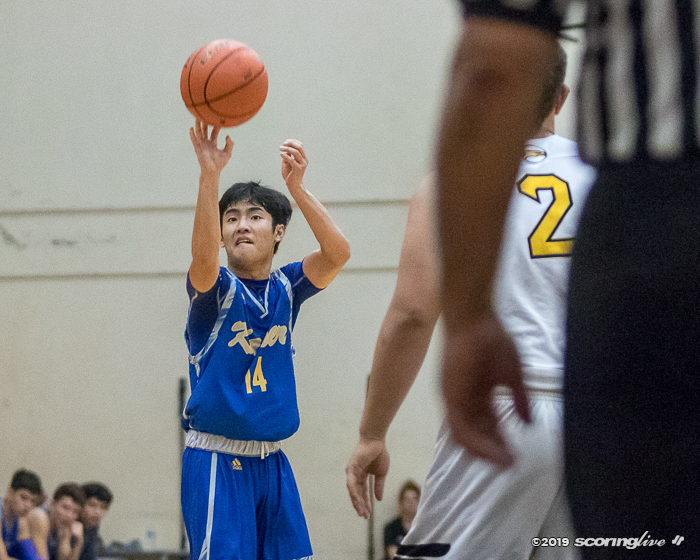 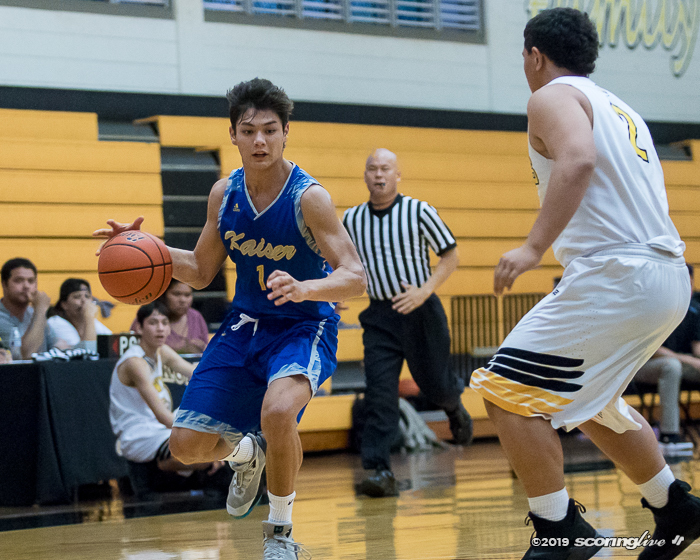 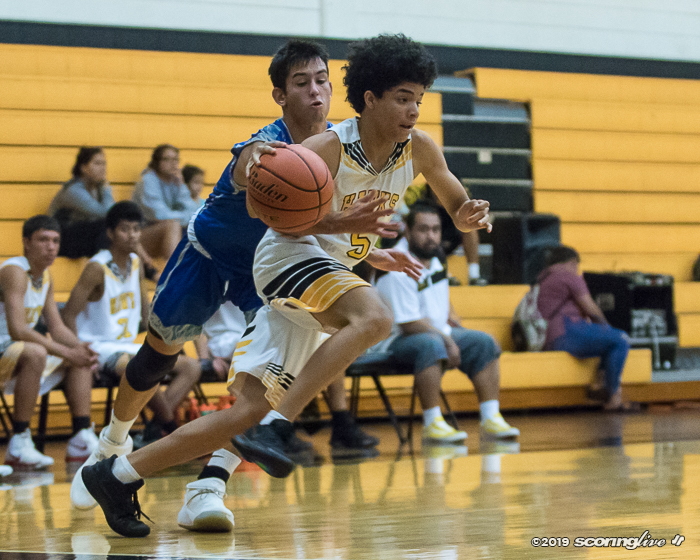 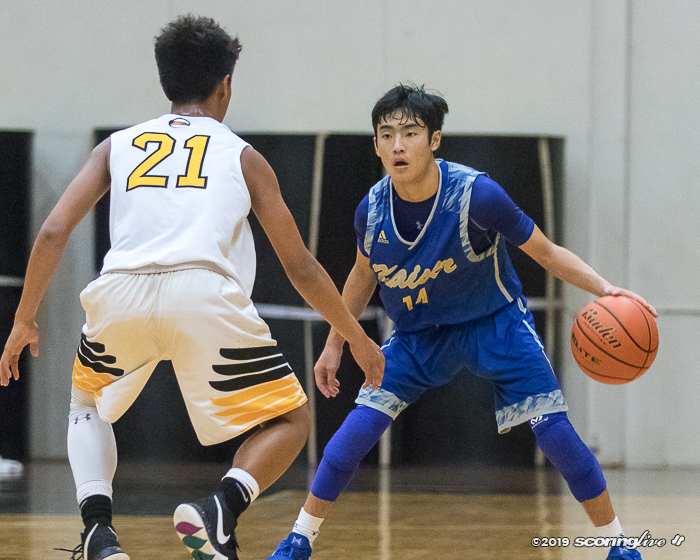 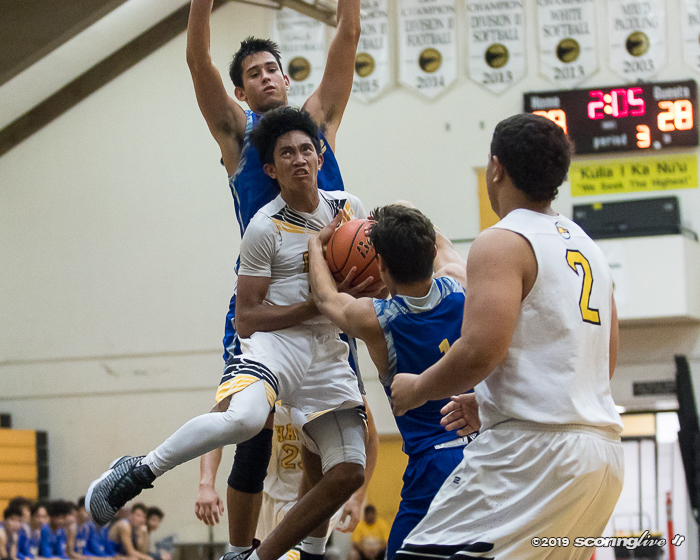 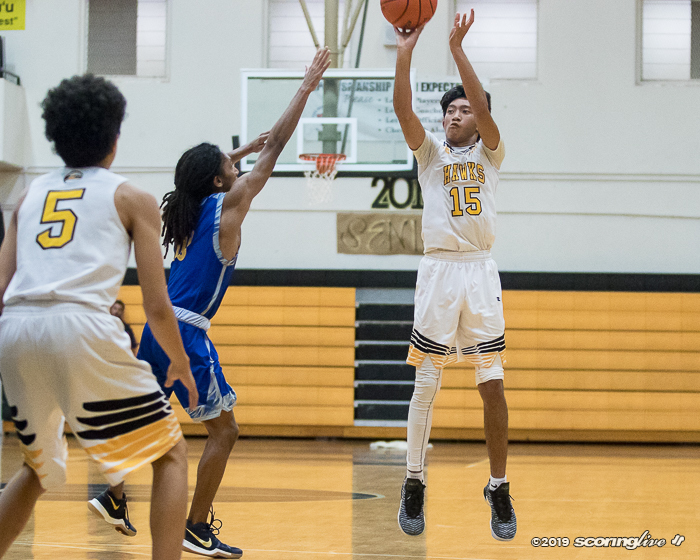 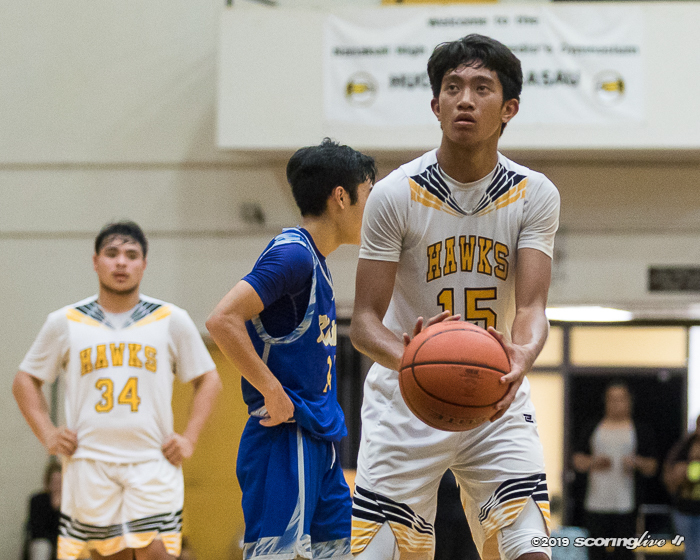 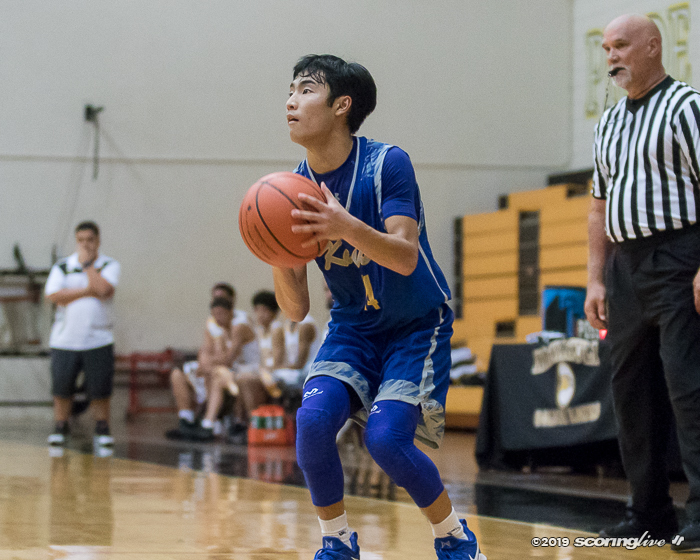 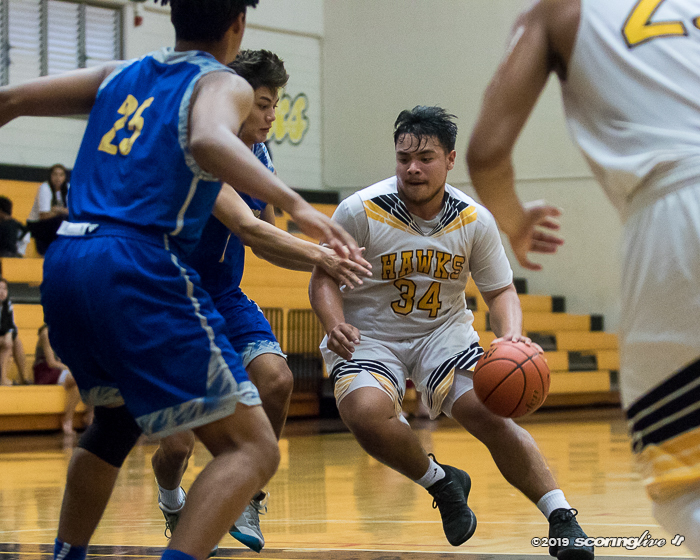 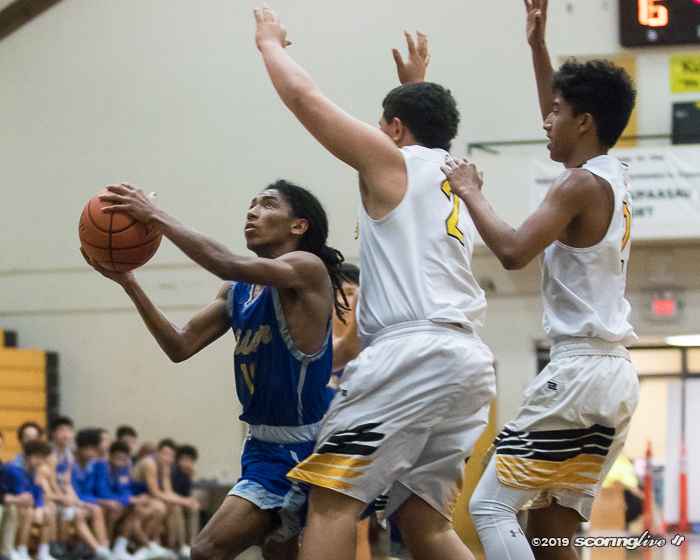 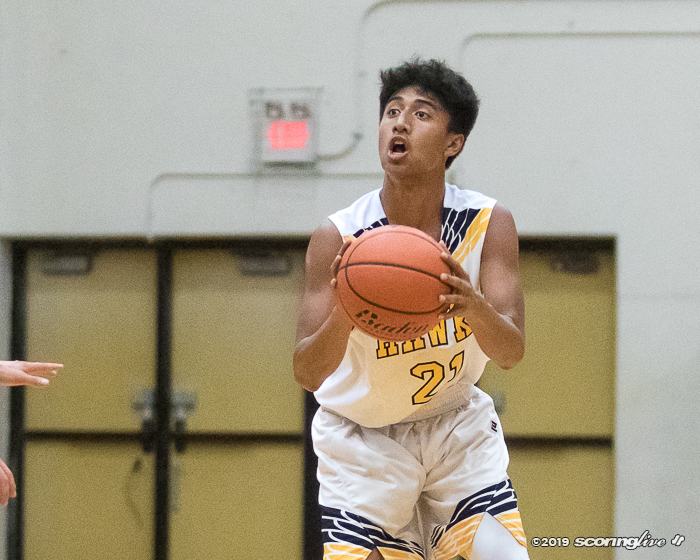 The Cougars (20-13 overall, 8-5 OIA) — who beat Waipahu in the first round, 61-42 — trailed by as many as eight points in the second quarter, 18-10, after two technical free throws. 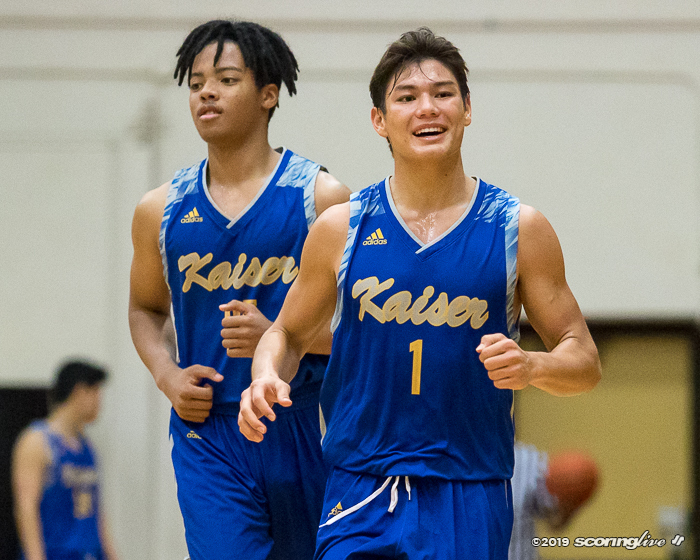 But Kaiser kept fighting and cut the deficit to five at the break, 22-17, after a 3-pointer by Dane Tsue at the buzzer. 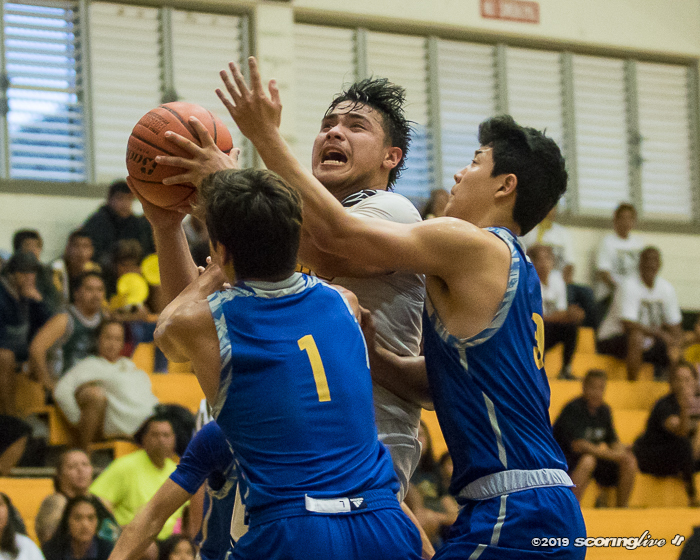 The visitors eventually tied the game at 22, but Nanakuli went on a run to retake the lead. 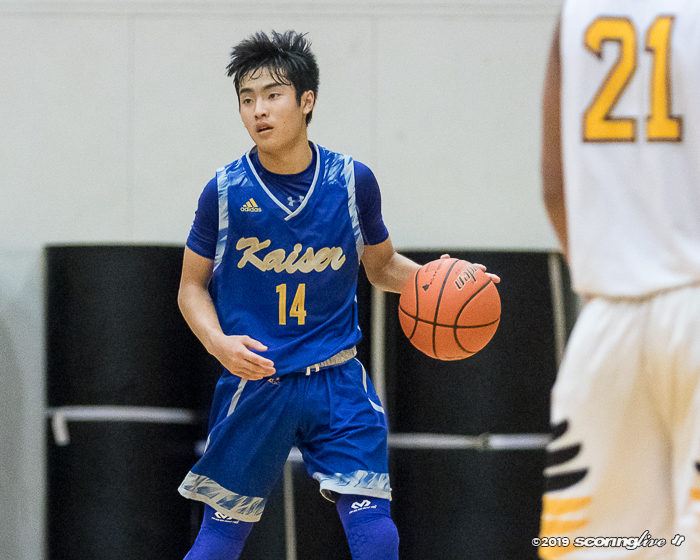 Kaiser eventually gained its first lead of the second half when Toyama made a 3-pointer to make it a 35-34 game after three quarters of play. 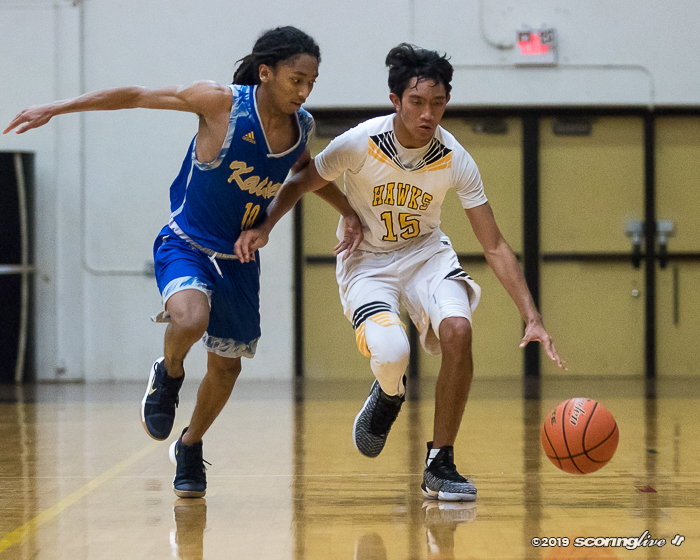 Nanakuli (6-14 overall, 4-7 OIA) scored first to open the fourth quarter on Kaipo Burnett's dish to Deuce Yin, but Toyama knocked down a corner trey — his sixth of the game — to give Kaiser the lead for good. 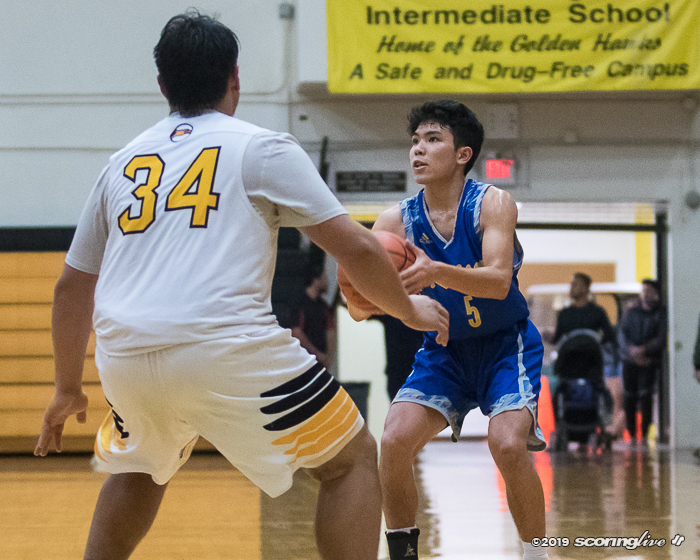 He also scored on a tough runner in the lane to put the Cougars ahead, 40-36. 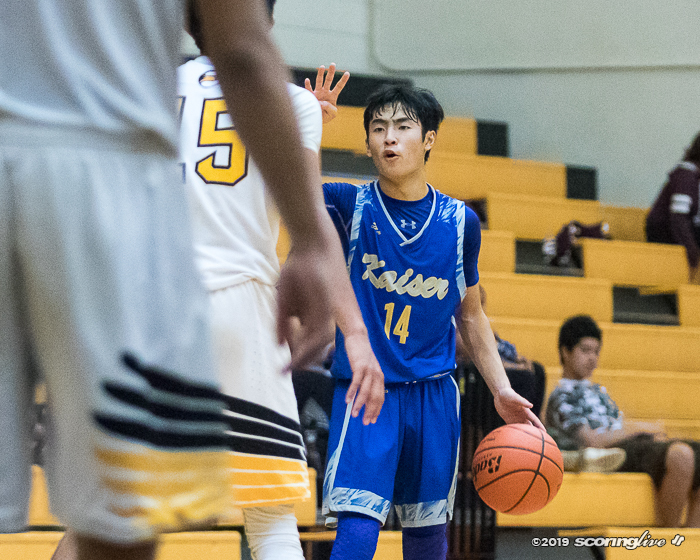 Toyama also knocked down eight of his 11 free throws in the fourth quarter to help the Cougars pull away from the Golden Hawks. 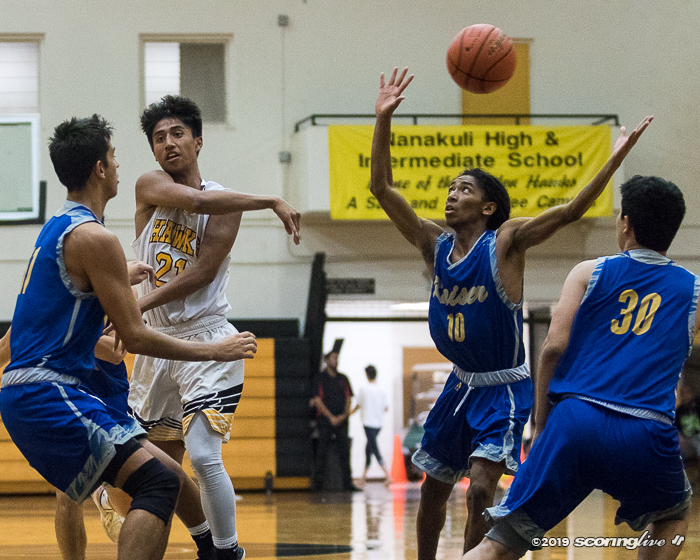 Kaital Ishicuro knocked down five treys for 15 points and Kukilakila Kahalekai added 14 to lead Nanakuli in the loss.